The Market-Frankford and Broad Street subway lines were closed Tuesday, Nov. 1, 2016, after nearly 5,000 employees went on strike. Trying to survive the SEPTA transit strike? There are various options out there, but no guarantees that the alternatives will be as convenient or inexpensive as your standard commute. Some folks probably discovered that on Tuesday morning. Nevertheless, here's a guide to help you navigate Philly's busy streets during the strike, however long it may last. WHAT SEPTA SERVICES ARE NOT OPERATING? Both the Market-Frankford and Broad Street lines, which average 311,660 weekday rides, are shuttered. So are six city trolley routes — 10, 11, 13, 15, 34 and 36 — that average another 83,477 rides. All city buses are out of service. SEPTA released a Service Interruption Guide last week to help affected riders. WHAT SEPTA SERVICES ARE RUNNING? Regional Rail is the only SEPTA service operating in Philadelphia, although the agency has warned that overcrowding on those lines is expected. 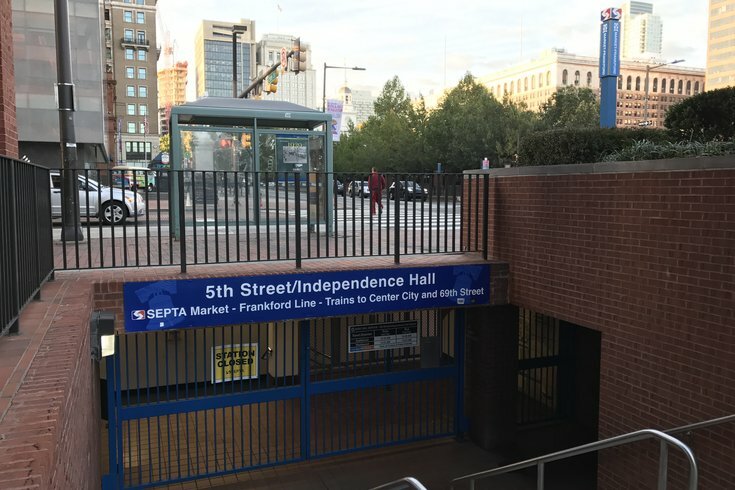 Riders who board trains at Temple, Jefferson, Suburban, 30th Street and University City stations will be forced to form lines on the concourse level between 2:45 and 7 p.m., an effort to avoid unsafe, overcrowded platforms. Buses are still operating in the Philly suburbs, as is the Norristown High Speed Line and trolley routes 101 and 102. LUCY and CCT Connect also are still running. Uber expanded its pool service to help commuters. Previously limited to the suburbs, the carsharing company could be a viable option to anyone living as far west as Reading, Berks County, east as Trenton and south as Wilmington and other parts of New Castle County, Delaware. Lyft has pledged to ensure more drivers are on the road during the SEPTA strike. New passengers can receive $5 off each of their first 10 rides by using the code "easyride50." Using the Lyft Line service, which matches passengers traveling along the same route, can save commuting costs, too. Zipcar, a car-sharing service that allows drivers to rent cars by the hour, announced discounted prices. Usually close to $9 per hour, the service announced that some cars would be bumped down to $5 per hour. It also is discounting five-day reservations. Citymapper, a public transit app, shows alternative routes in real time. Some routes combines Regional Rail service with cabs or bicycling. Indego, the city's bike share program, is increasing bike capacity at four Center City locations and offering valet service to the Municipal Services Building. The Bicycle Coalition of Greater Philadelphia anticipates more commuters traveling by bike than usual. The Coalition posted a "Bike the Strike 2016" map highlighting all Indego stations, bike shops and bike lanes in the city. Indego urged bicyclists to avoid weaving through traffic, noting its safer to ride in a straight line, and instructed bikers to walk their bicycles when on the sidewalks. Several employers and universities are offering free shuttle service to their employees and students. For city employees, free shuttles will be available along the Broad Street and Market-Frankford lines. Jurors also are allowed to board the city shuttles. The University of Pennsylvania, Drexel University, Penn Health Services and The Children's Hospital of Philadelphia released a joint contingency plan that provides shuttle service to employees and students. Temple University also is operating shuttle services. The Philadelphia Parking Authority is offering a flat rate of $10 for 10 hours at select Center City parking garages. Residential permit parking will be suspended from 8 a.m. until 3:30 p.m. For zones with two-hour residential parking regulations, timing will begin at 3:30 p.m. Ticketing will commence at 5:30 p.m.
No parking is permitted along Broad Street from South Street to Spring Garden Street. Motorists may use bus zones to drop off or pick up passengers. Vehicles cannot be left unattended. Motorists will be able to park on 12 streets where parking is typically prohibited or limited. Click here for a listing of those streets. The School District of Philadelphia is keeping all schools open and operating on a normal schedule. Students who rely on SEPTA for transportation will receive an excused absence, but a note from a parent or guardian is necessary. Yellow bus service will continue operating on its normal schedule, but some delays might occur. The Archdiocese of Philadelphia also is keeping its school open and maintaining a normal schedule. All city offices are open and operating on regular hours. All city employees are expected to maintain their typical work hours or use accrued leave time to cover any absences.